A YouTube intro maker is an online intro creator that ushers a visitor into the concept of a YouTube channel or video, i.e. it gives the viewer insight on the video/channel after opening it. Intro: the term intro represents the display at the beginning of a video made with an online YouTube intro creator, it is like an introduction as the name implies, it helps promote the channel and states what it offers. This section features cogent details such as contact, promotions, and purpose. 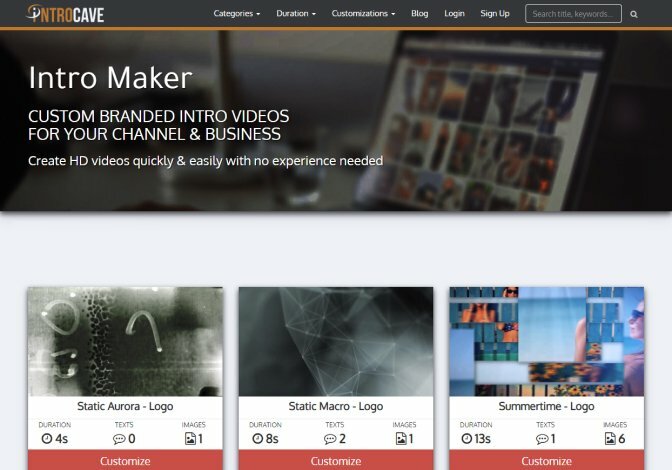 The YouTube intro maker offers users the opportunity of creating and managing enhanced YouTube introduction clips for the use of marketing, promotional, tutorial and other various beneficiary purposes just as the Video Editor Plus. There is a wide range of channels that offer similar information and advertisement. 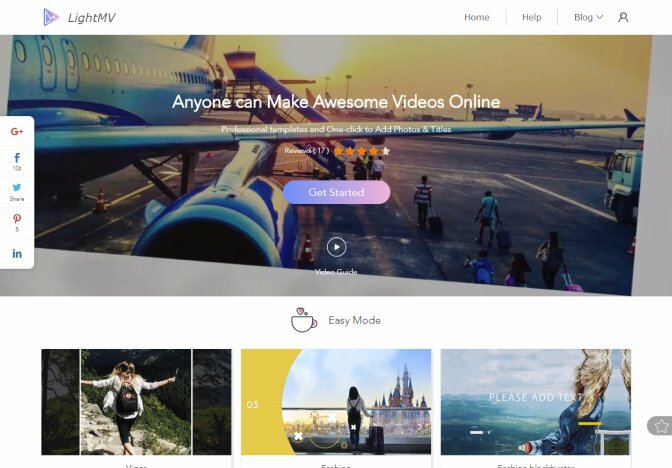 Therefore, an edge is necessary above others, in choosing a simple and efficient YouTube video Maker a basic knowledge of various software and its services is required. A video maker should be able to fulfill some basic requirement; it should have varieties of filters, 3D, and HD effectiveness, an ability to effectively edit audio and video files and should be compatible with various computer operating systems such as Mac and Windows. 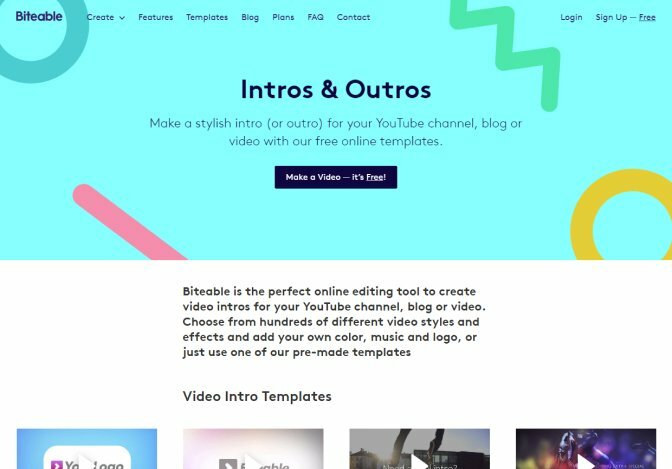 Take cognizance when choosing the best intro maker for YouTube, its ability to edit pictures, audio, and videos of various formats, cutting clips, and sound adjustment should aid one's decision. The developers provided various fantastic filter and sticker options would suit your channel. Not all software support devices such as TV tuner, HD camcorders, and VHS tapes. A background check on different software is necessary to ascertain accepted formats and supported devices; it will help you have a smoother ride. Intro makers support different input, and output media formats, unique formats, and resolutions such as the 4k video resolution are only available in some software. Intel Media acceleration makes the work process a lot smoother and the output good, therefore it is advisable to do a brief understudy. 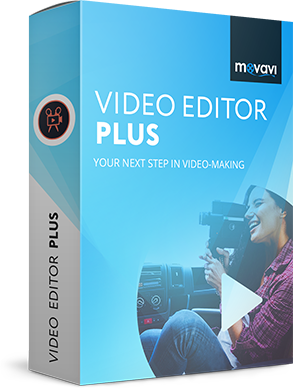 A video editor should be easy to use; it should have a user-friendly and less complicated navigation pattern that will enable users to get the best output for time expended. To appeal to a broader audience, some video maker comes in different languages and support various document formats. Manuals and guides to effectively carry out a task without being stuck halfway are made available by some software. Communities and forums help users to relate and share knowledge about the app; a newbie can gain a lot by mere reading previous discussions. Diverse online platforms offer excellent and easy YouTube creator software. However, a software that provides the best-needed service should be ranked above others when making a selection. 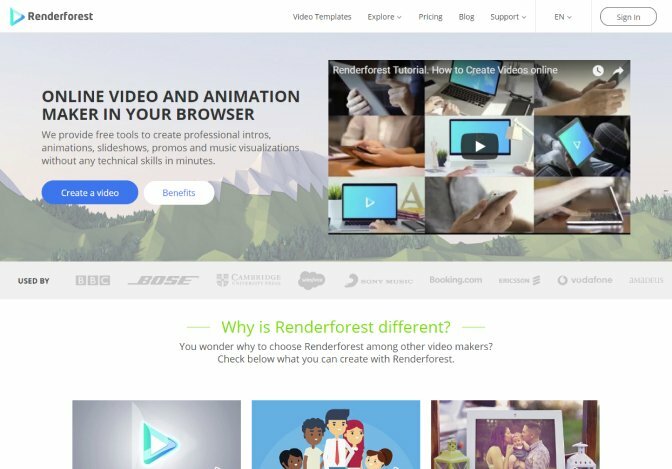 Some of the software offers good 3D animation, while some most appropriate for a professional channel. Below is a list of top grossing free YouTube intro makers that will help guide you on the most suitable for your channel. 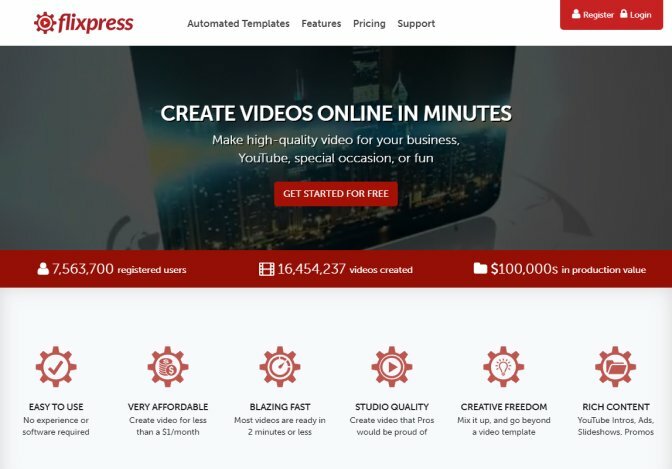 Flixpress is standard online software that comes handy when presenting slideshows, gaming events and making custom videos using automated templates. It is time efficient for the creation of complex and simple content; video creation can last for as little as three minutes. 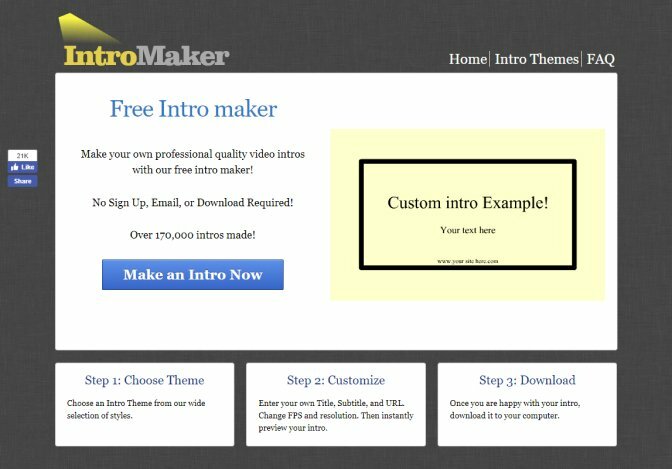 This free online intro maker is one of the easiest to online; it requires little expertise; you have to open their webpage and choose from their range of templates, insert necessary information such as channel name, image, details est., then it is ready for download after a preview. Biteable is very good for creating 2D animation intros; it is easy to use and free. Channels that need little alteration for similar intros like speeches, tutorials, and blogs tend to gain the most from using this software. 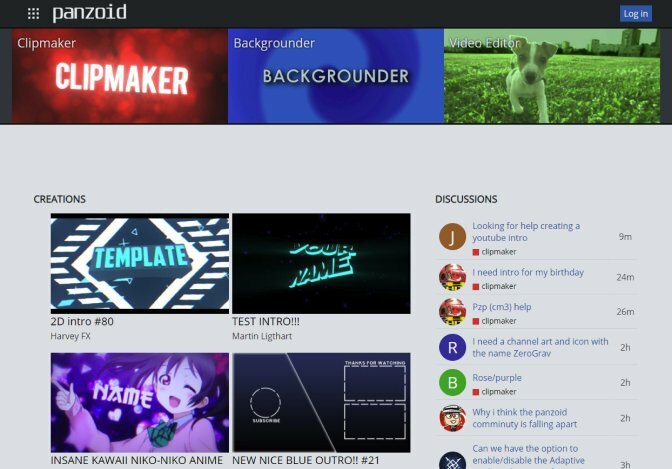 Panzoid is a very efficient free online YouTube intro creator for beginners to make their channels look more professional, it is self-explanatory, and a good platform to experiment with ideas, make channel background and edit other YouTube videos of choice. 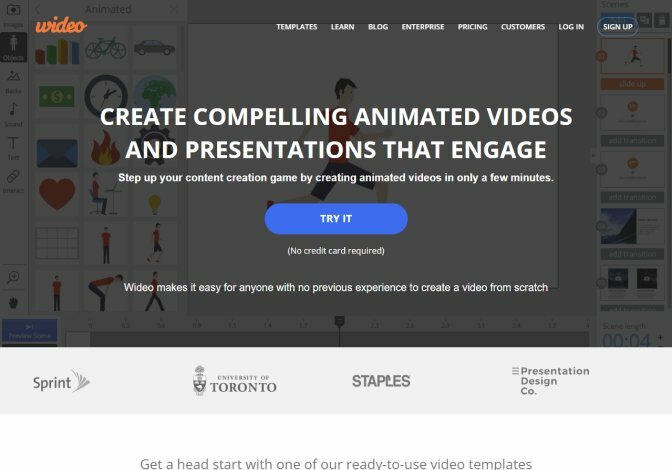 Wideo is cute online software used to make animated cartoon clips, it’s best suited for creating simple animations that add more glitz to a channel. It is not free software, but it offers a seven-day trial period for new users. Just like many others offer free services, one of the phenomena about it is that it is easy to use; it provides the opportunity of a lot of templates that is easily editable to suit one's choice, it has professional appeal and outstanding animation. Ivipid can match others regarding design quality, it is quite easy to use, and in a few clicks, you get a large variety of free cool design. This software offers no download but a cloud account for safekeeping of generated materials for future use; contents are accessible from various locations. The cool thing about this Free YouTube intro maker is that it has no watermark and does not require signing in. 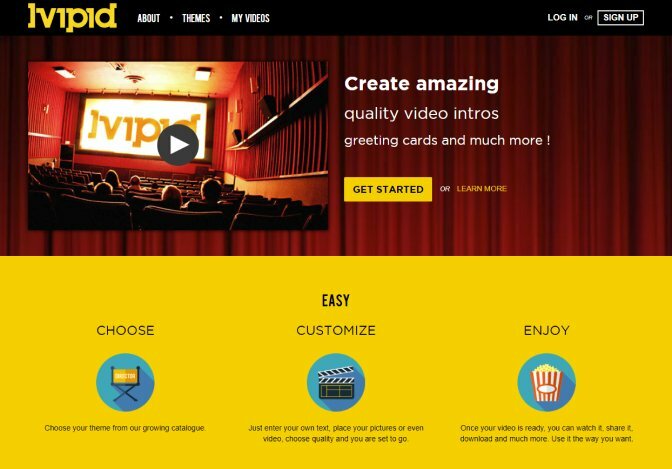 It has laudable animated effects of high quality and extremely easy to produce the best video effects. 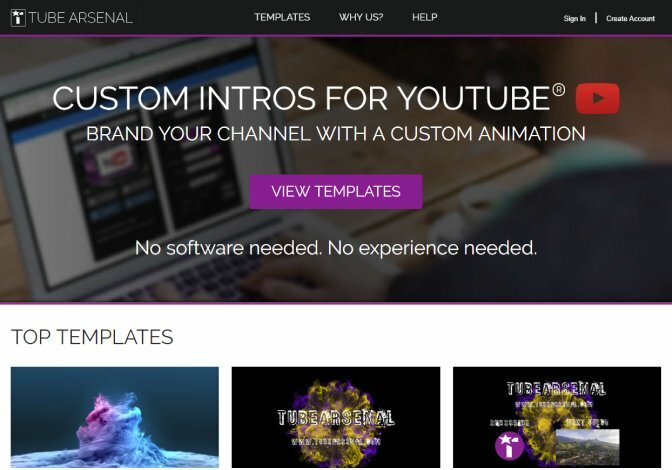 Tube Arsenal is a fantastic online tool, highly efficient but at the cost of $9 flat rate, though you can get a free intro template. It boasts of one of the best abstract designs amidst other YouTube Intro Makers You will have access to some models with particle effects and can create animations in HD. IntroCave offers both high and standard definition videos, although the higher definition costs a stipend of $5. IntroCave is very easy to use in picking a base video and adding the desired content, and then it is ready for download.